One of the best things about a birthday is, of course, the cake! I love layer cakes as much as the next girl, but when it’s just Eric and I, I like to bake cakes in my springform pan–it adds a touch of elegance to a single-layer cake! One of our dear friends gave us Dorie Greenspan‘s Baking: From My Home to Yours as a wedding gift, and I love it! Eric has come home from work on more than one occasion to find me curled up with it in our thinking chair;) When I saw her recipe for Swedish Visiting Cake, I knew it would be the perfect thing for my birthday. One of her awesome pointers is to work the lemon zest into the sugar before you add anything else; this way, the sugar is infused with the flavor: amazing! I will be trying my hand at some different infusions soon! 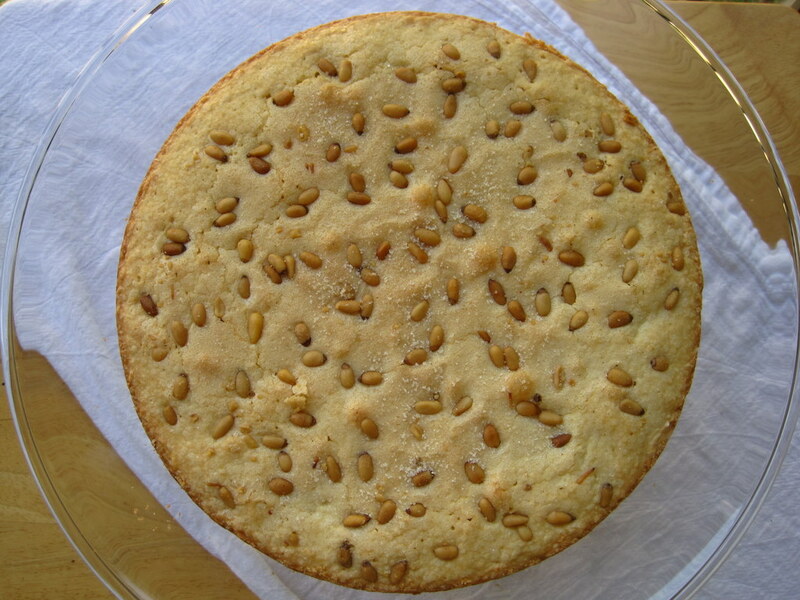 This cake is also incredibly quick to make: just a few minutes to put it together, and about half an hour in the oven. This was very good, since I did not have much afternoon left to bake it and get ready for dinner! 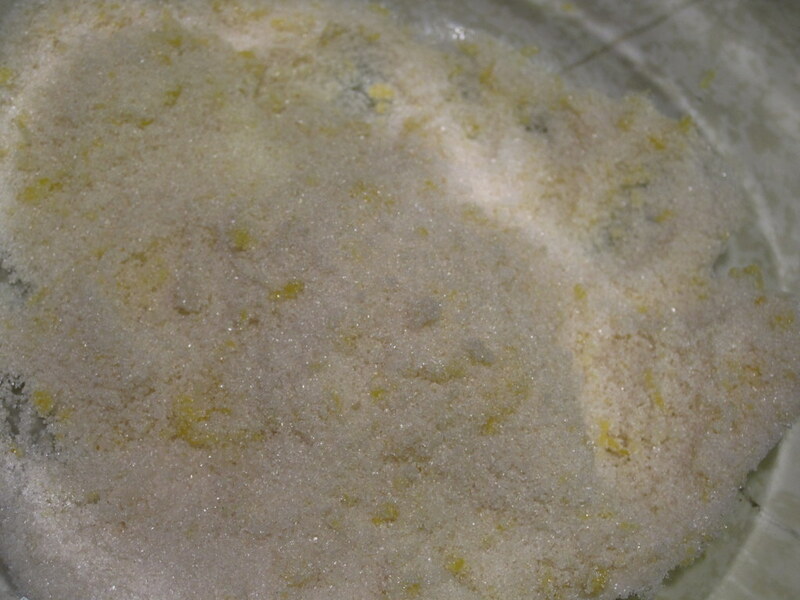 -Pour the sugar into a medium bowl and work the lemon zest into it with your fingers until the sugar is moist and smells like lemon heaven. 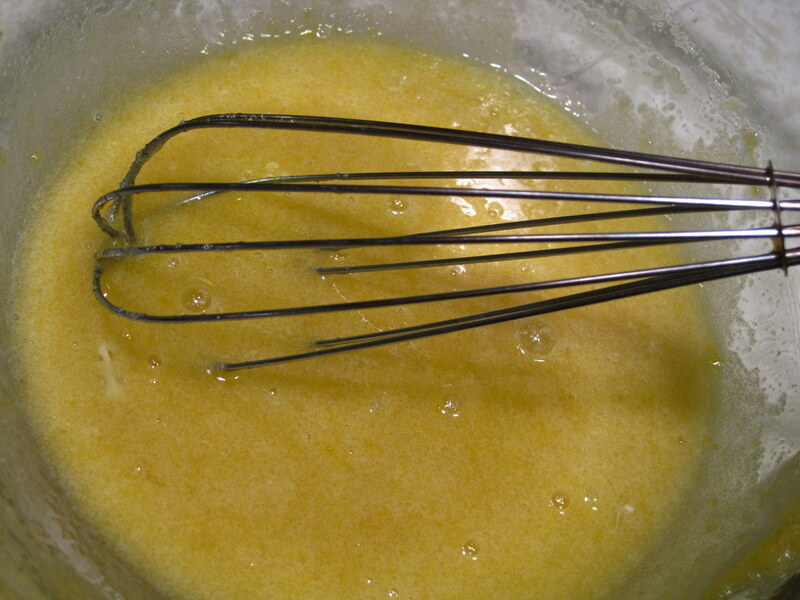 -Whisk in the eggs one at a time until well blended. -Whisk in the salt and vanilla. 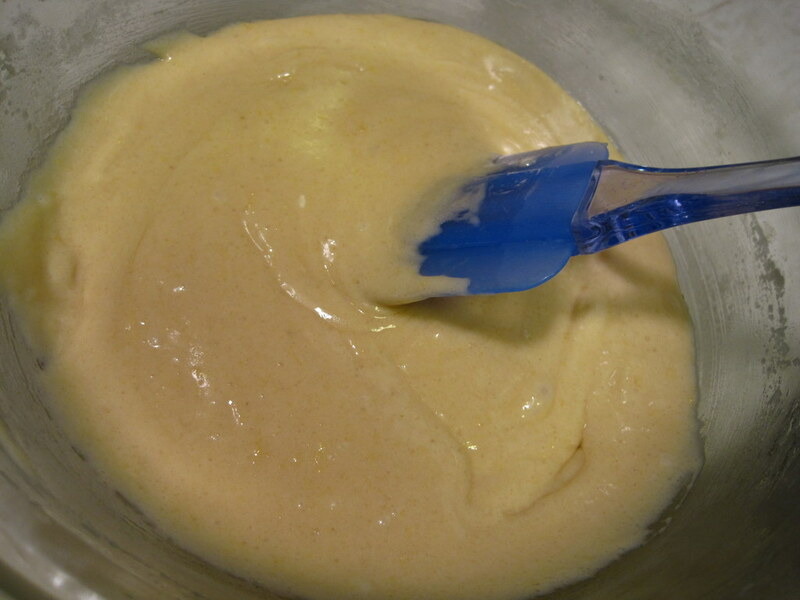 -Switch to a spatula to mix in the flour and then the melted butter. 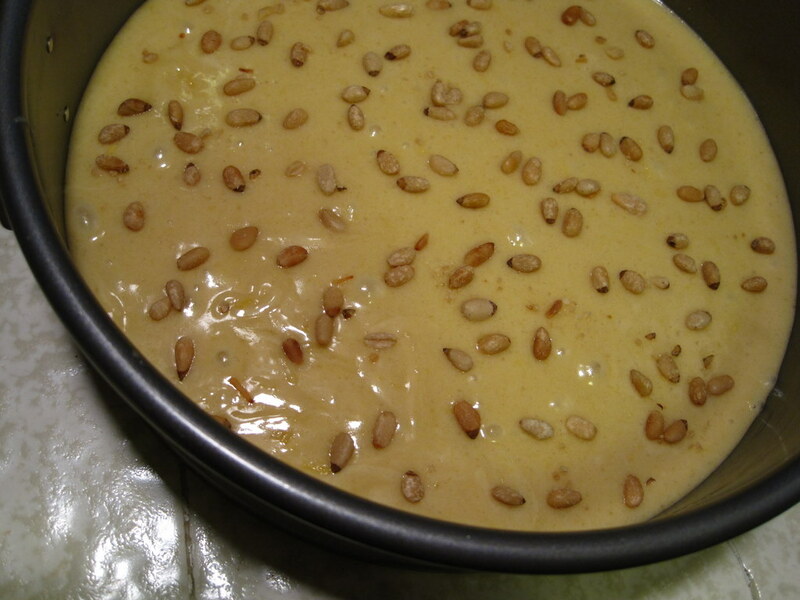 -Pour batter into pan and scatter the pine nuts over the top, along with a little sugar. -Bake for 25-30 minutes (mine needed the full 30, but I srated checking it at 25), until the top and sides are golden brown. -Let cool for 5 minutes, and then scrape the sides of the pan with a knife before you release the spring. 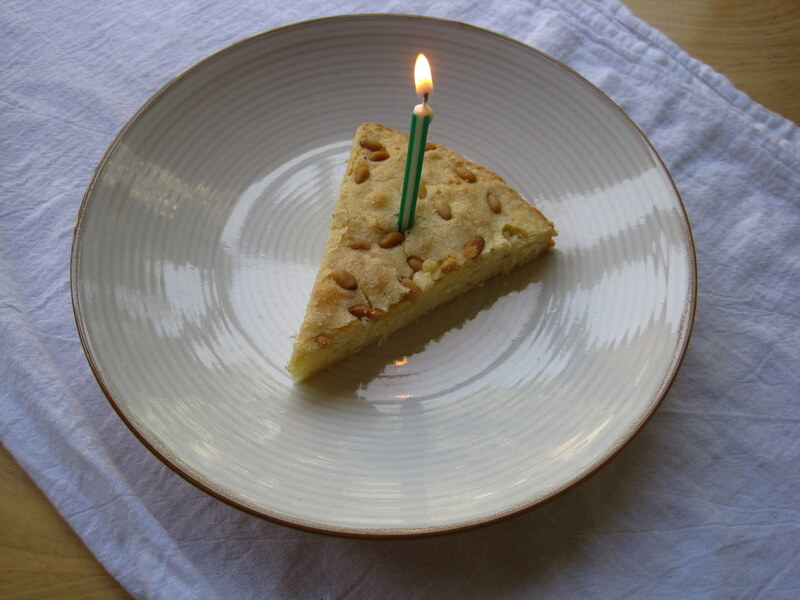 -If it’s your birthday, cut yourself a slice, stick a candle in it, and make a wish!